Already Dead is a short horror based film that is set out as a mockumentary, it was written and directed by Michael James Dean and features the best of all movie monsters; zombies. The mocumentary is set fifteen years after a wide spread zombie outbreak and in it several zombies are interviewed to see how they have adjusted to their undead lives (deaths?) and how society as a whole treats them. 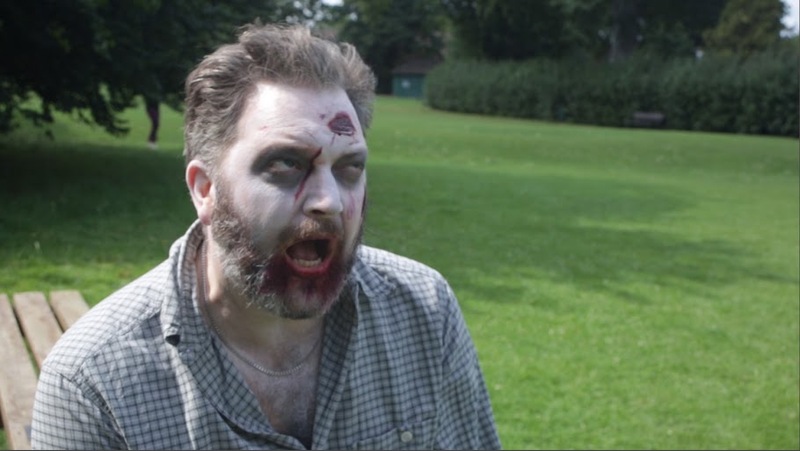 Over the fifteen minute run time we get introduced to several different zombies, the main one being middle aged George (Darren Ruston) who was turned at the start of the outbreak. We also get an interview with his friend Jeff, as well as Lynn and David whose wedding plans nearly got scuppered when Lynn got turned at their engagement party. 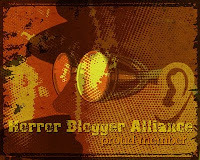 The zombies speak nearly incoherently and there is some humour with their groans being subtitled as full sentences. Throughout are the interviewer's genuine sounding questions (voiced by Michael James Dean) which gives a feeling of legitimacy to the goings on. 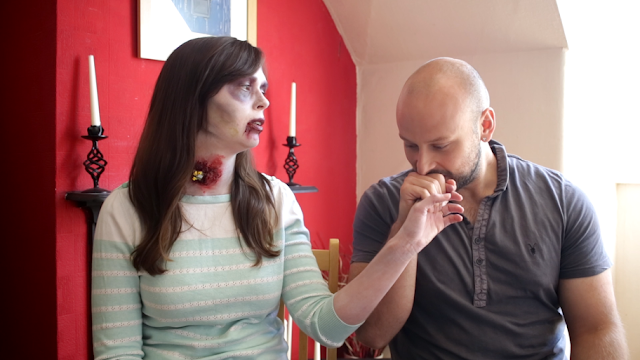 There is talk of eating brains of course, but the more mundane questions such as the expensive pills the zombies need to be able to retain some of their humanity, the NHS's treatment of them and how family and friends are affected are what makes this more interesting. There are a few scenes of suggested horror though this is more of a comedy, albeit one with a poignant bent to it, such as when George talks about his wife leaving him after his change, and David struggling to recount how his fiancee got turned. There are obvious parallels with racism and prejudice, such as when one character is being interviewed outside a passerby starts shouting at him to go back to his own country, while the son of Jeff talks about how his Dad is dead to him (well, he literally is but the son means figuratively) since his change. The zombie make up is solid enough, Georges is the most subtle, this was apparently done to make the viewer emphasise with him more, the others seem more zombie like, the make up is pretty good on all three. There seems some references to other zombie media hidden throughout, one scene has a bookcase in the background laced with various zombie novels, while a character wearing a white shirt with red tie reminded me of Simon Pegg's look in Shaun of the Dead. 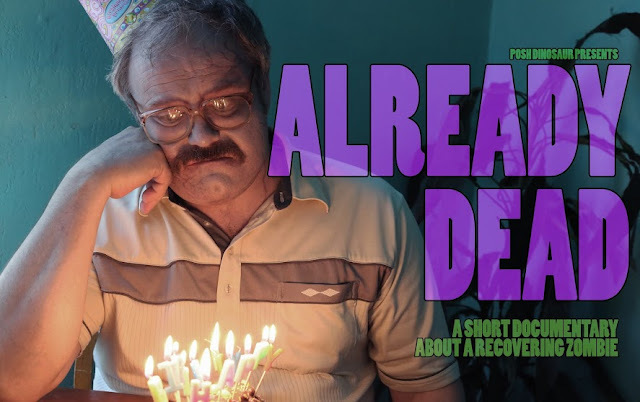 Already Dead works well as a mockumentary with it feeling right in all the right ways, at times it threatens to be a bit too saccharine but the inclusion of scenes of mild violence help alleviate this. The comparisons between the plight of the zombies and real world issues is not done in a ham fisted way which was good to see, all in all I enjoyed this.